Press and media coverage of The Paper Hatchet. We've been lucky to be featured in some major publications and we are always looking to spread the word about The Paper Hatchet. We have also partnered with other small businesses and veteran owned companies for promotions. If you are media or a fellow small business and would like to get in touch with us hit us up at sales@thepaperhatchet.com. "You Can’t Go Wrong with These Fabulous Father’s Day Gift Ideas"
For the creative dad who appreciates artistic detail, the Paper Hatchet original collection of 12 cards is a great gift. Printed on cardstock with envelopes, they are incredibly unique cards that will help your dad keep up his cool demeanor. These cards say what dad sometimes can’t and they are perfect for any occasion he’ll need when he puts pen to paper for the musings you can’t afford to miss. 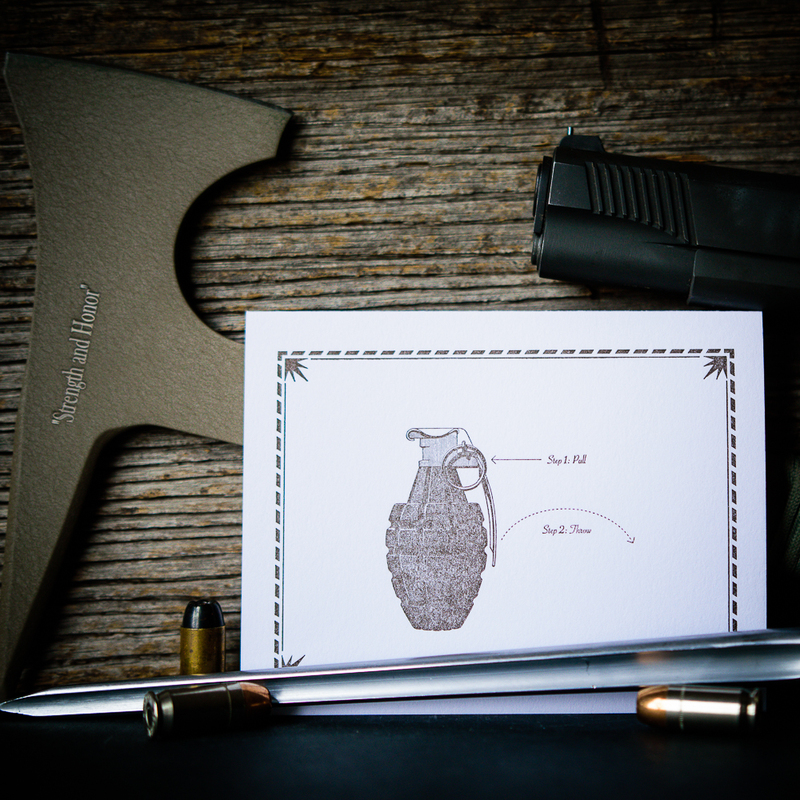 "The Paper Hatchet – a line of cards for men. A Manly Gift for Gentlemen this Father’s Day." 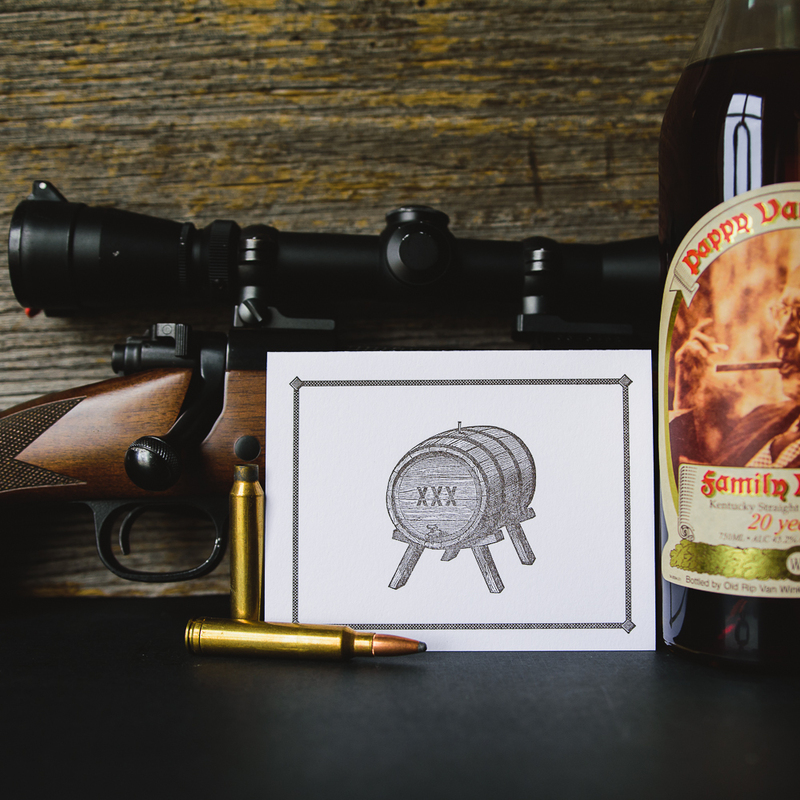 This collection of cards feature animals, hunting themes, tools, and other “manly” images that would be perfect for any outdoorsman. The Paper Hatchet definitely meets the mark for Dads who have rustic appreciation of art and traditional grounding. We partnered with this fellow grenade aficionado to let everyone know about his awesome soaps and our cards. Check out his webpage below.